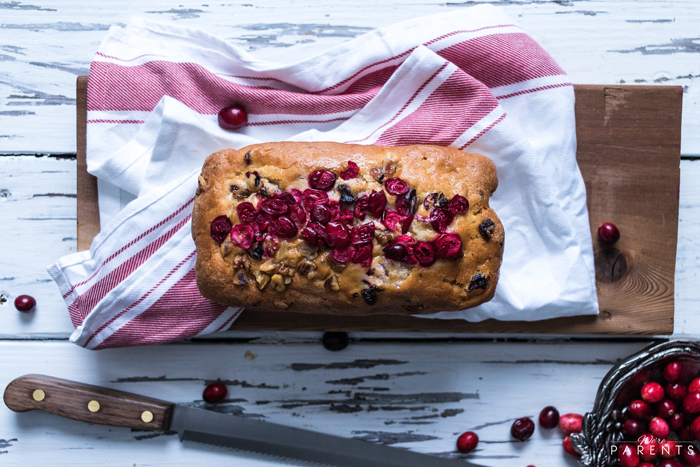 Disclosure: This Cranberry Orange Nut Bread is sponsored by Shriners Hospitals for Children. Thoughts and opinions are 100% my own. Before I was 5 years old, I had third degree burns. I don’t know if I remember the actual incident or it’s just been told to me so many times that I have memories of what happened. Either way, we lived in a trailer until I was 4 and it was heated with kerosine heaters. Long story short – my mom had a pot of water on top of one of the heaters to help with moisture in the air. I got mad and kicked the heater. The pot of water spilled on my foot resulting in 3rd degree burns. To this day, I occasionally have pain in that foot. While we don’t have kerosine heaters in our home, I still worry about burns. Our girls love cooking. You can constantly find us all together in the kitchen. 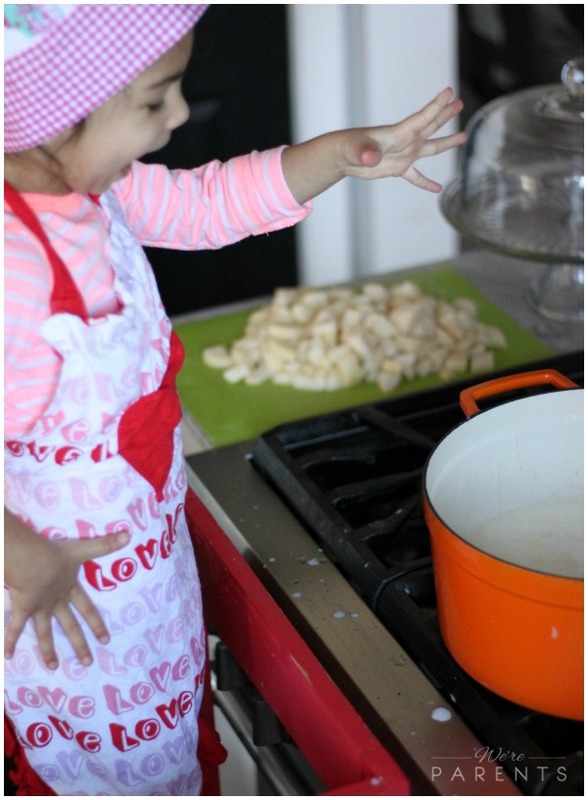 Part of teaching them, not only about cooking, but also safety is teaching them to be safe around heat. It’s crucial to us that they know they can’t turn on the stove or pull bowls out of the microwave without a grown-up around to help them. And so far things have been great. But that doesn’t mean that I can let my guard down either. Don’t leave candles that are lit unattended or in reach of a child. Keep a lid or cookie sheet nearby your stove when cooking so that you can quickly put our a fire if it happens. If you celebrate Christmas, water your live tree daily. A dry tree can ignite within seconds and is oen of the deadliest types of fires. Don’t put trees near fire places, heaters, candles or other heat sources. Any holiday lights you put up should be inspected for kinked or frayed wires. Now that you have those tips, let’s get to why you really came here! It’s the perfect seasonal treat. 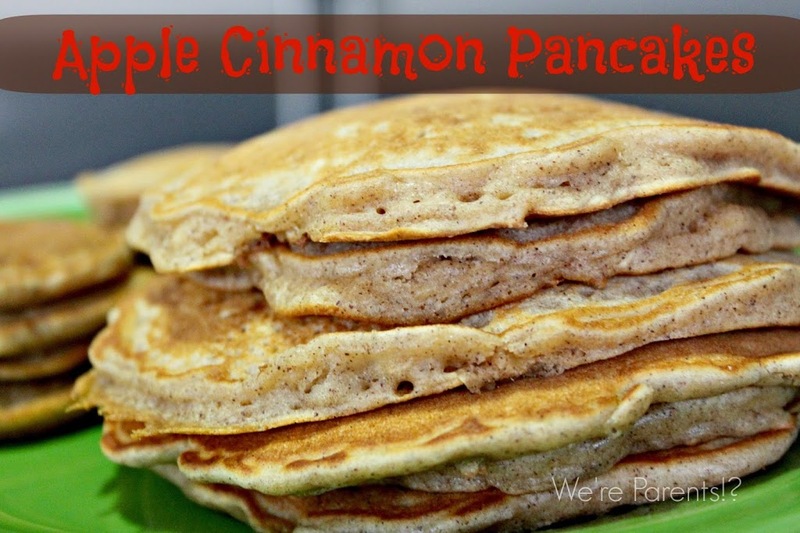 Great for breakfast, brunch, or a late night snack. It would also make a great hostess gift if wrapped nicely. 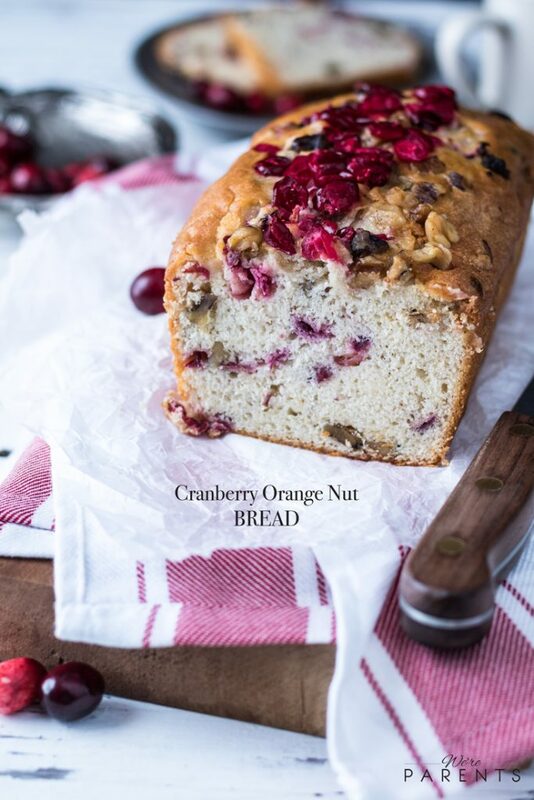 I’m not going to take up anymore of your time talking about why this is so delicious, grab the recipe for Cranberry Orange Nut bread below. Grease a loaf pan with coconut oil. Set aside. In a small bowl, combine flour, baking soda and powder, and salt. In a large bowl, zest the orange into the bowl. Then, in the same bowl, whisk together the milk, yogurt, orange juice, egg, coconut oil, both sugars, and vanilla extract. Add the flour mixture to the liquid mixture until just combined. Don't over mix. 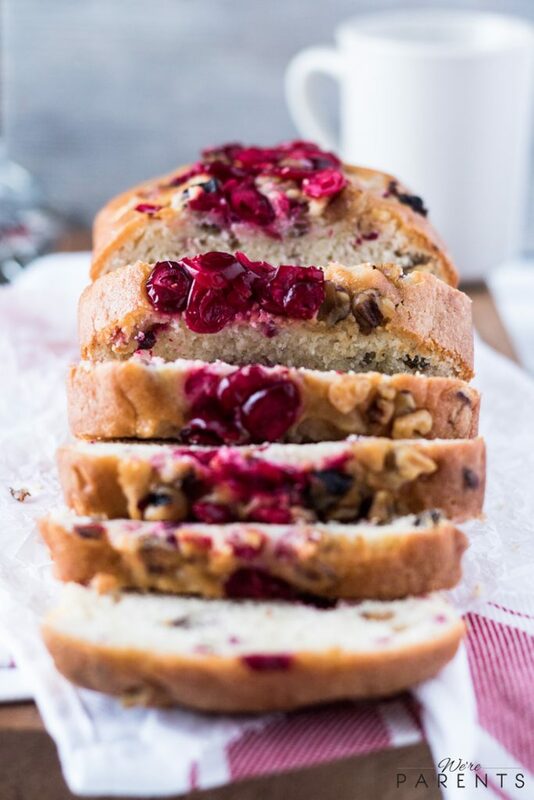 Fold in fresh cranberries and walnuts. Put batter into prepared pan. Bake for about 60-70 minutes or until a toothpick comes out clean. Remove from oven and top with dried cranberries. Allow bread to cool in pan before removing. 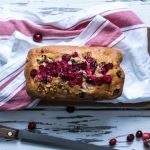 The combination of oranges and cranberries, paired with the walnuts, make this Cranberry Orange Nut bread the perfect holiday bread dish. It’s truly delectable. You have to give it a try for yourself! Shriners Hospitals for Children is a leader in pediatric burn treatment. Since the 1960s, they have provided critical, surgical, and rehabilitative burn care to children. They are the go-to for complex burn care, providing services to over 1.3 million children. Shriners Hospitals also treat children for all care and services regardless of the families’ ability to pay. They have 22 locations across the United States, Canada, and Mexico. If you need services, you an call 1-800-237-5055.